Monk Pragyanand, who initiated Dalit leader B.R. 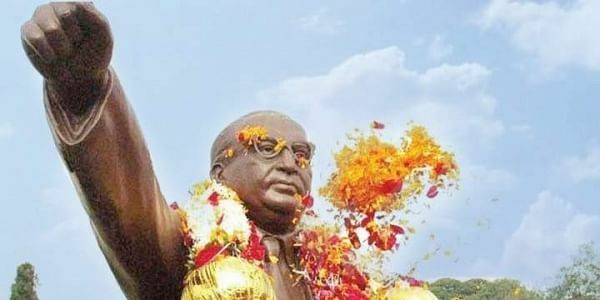 Ambedkar into Buddhism in 1956, passed away in Lucknow on Thursday. He was 90. LUCKNOW: Monk Pragyanand, who initiated Dalit leader BR Ambedkar into Buddhism in 1956, passed away in Lucknow on Thursday. He was 90. Pragyanand passed away at the King George's Medical University (KGMU), where he was admitted five days ago following breathlessness and chest congestion. He was the last surviving one of the seven monks who gave 'diksha' to Ambedkar on April 14, 1956, at Nagpur in Maharashtra. Hailing from Sri Lanka, Pragyanand had come to India in 1942 and decided to settle in the country thereafter. Uttar Pradesh Minister Swamy Prasad Maurya visited the hospital's Gandhi Ward and paid floral tributes to the late monk. Several Buddhist monks and Dalit leaders also visited Pragyanand's residence to pay their last respects.